As Tuesdays are for new book releases, Wednesdays are for new comic book releases. Out today? 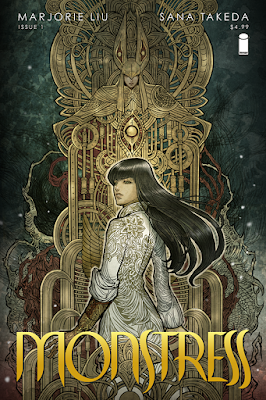 Issue one of a new series called Monstress. 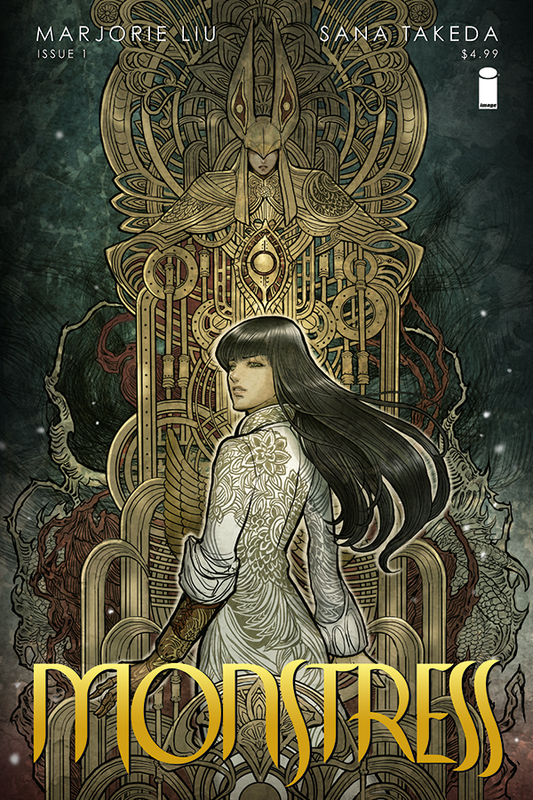 Published by Image Comics, written by Marjorie Liu, and with art from Sana Takeda, Monstress is an immersive read which I absolutely do not want to spoil for you. Steampunk meets Kaiju in this original fantasy epic for mature readers, as a young Maika risks everything to control her psychic link with a monster of tremendous power, placing her in the center of a devastating war between human and otherworldly forces. Without a doubt, this is a comic book that I would recommend to you. Why? It just started, the art is fantastic, the story is amazing, and loads of ladies! So yes, I'd highly recommend it to you. Still not sold? Here's a preview for you to enjoy. Available at your local comic book shop (unless they've sold out) today. Also available as an electronic copy. This looks fantastic! I love the art, will look out for this.